I've been wanting to draw this for months. This is the perfect excuse. I've about twenty more in my little book, so maybe there'll be a reprisal sometime. 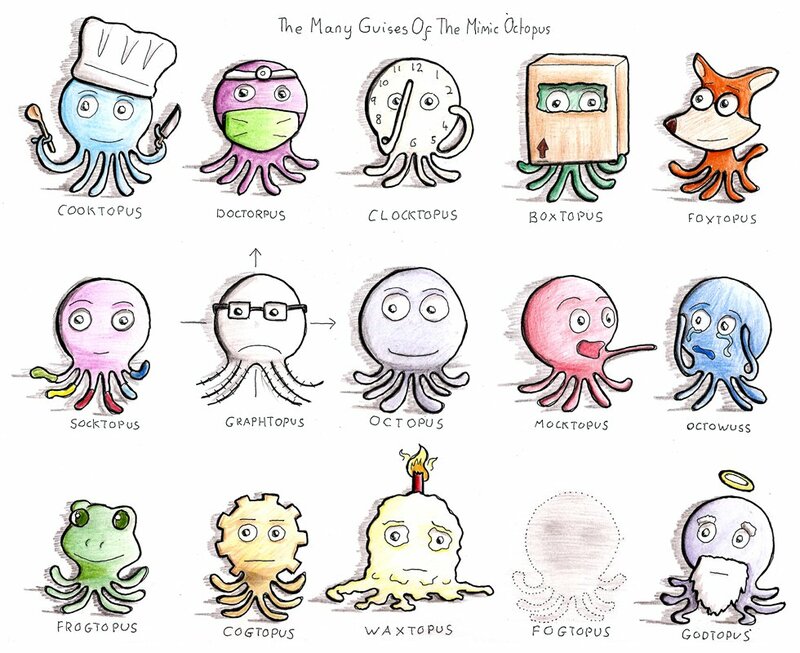 Alex picked one of the other octopodes on my pun-list. 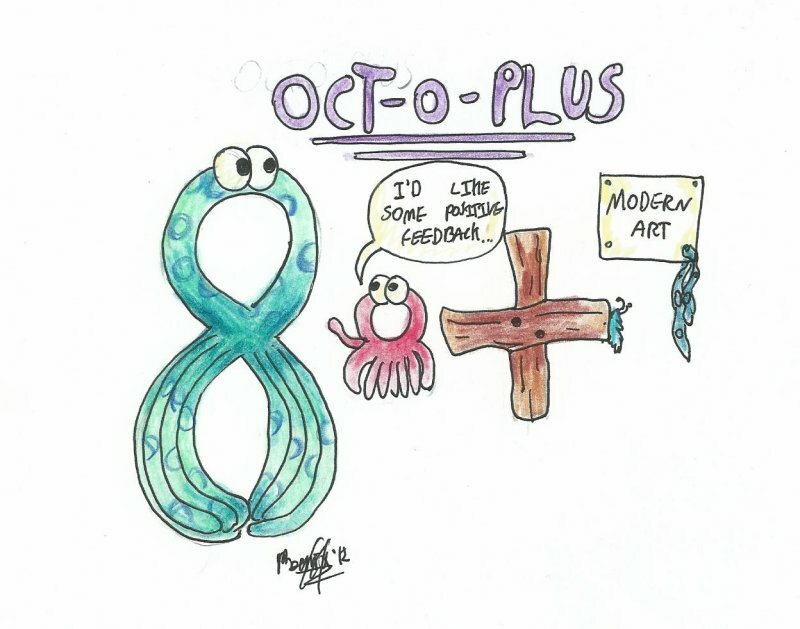 Modern art and maths, obviously this is part of a sandwich course. 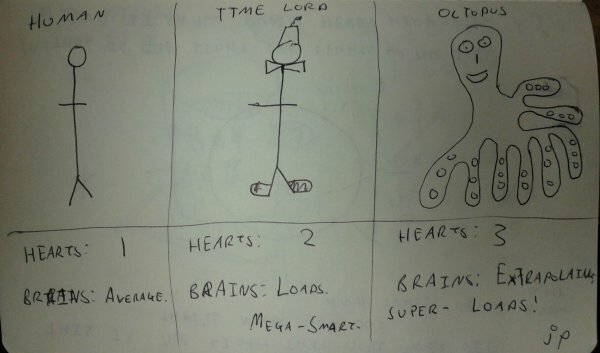 There is a pun in the middle. 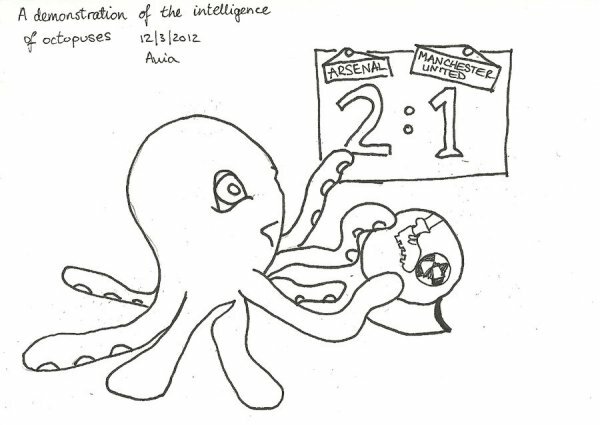 Ania gave a fitting tribute to Paul the Octopus. I believe this is what they call "induction".